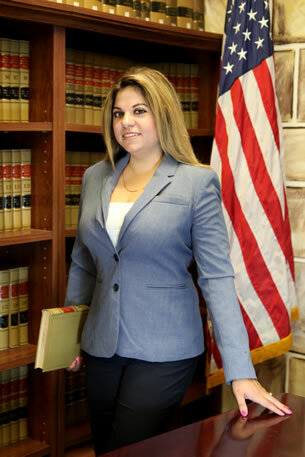 Legal Status (law offices of Natalie Ghayoumi – Immigration Attorney “abogado de inmigración”) provides legal assistance with Immigration & Naturalization, and Criminal Law. We are a Full-service immigration law firm specializing in: Citizenship, Asylum, Removal Defense, Family Petition, DACA, Visas and more. We provide local services in 3 states California Arizona and Washington. In Arizona – Phoenix, Tempe, Mesa, and throughout Maricopa County. We also travel to other states for our clients. It takes an immigrant to know the needs and struggles of immigrants. Let me help you. I was born and raised in Iran. I am fluent in Farsi and English. I speak conversational Spanish. My goal is to provide affordable services and educate the public on their rights in the field of immigration. I hope that I can provide more pro-bono services in the future for those in need. I am available to my clients as much as I can even after office hours. I answer clients’ calls and concerns via email, text, calls, and Facebook messages as soon as possible. I know how difficult it is to trust someone and put all your hopes in their hands but I promise to provide a trustworthy environment, where clients can share their difficult experiences in the past and put their trusts in my hands to help them as much as I can. Natalie in the News! 14 states (28%) of the U.S.
We Like to Travel for You! 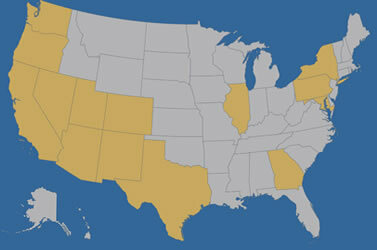 States throughout the U.S. where we have past or present legal cases.